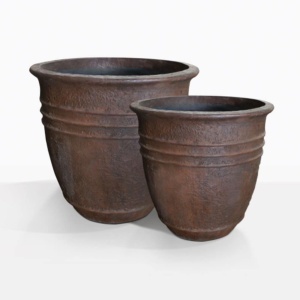 Create a raw earthy feel in your outdoor garden with these circular pots. 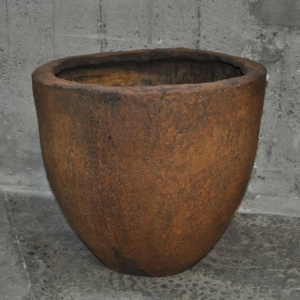 The Whalers Pots are an organic round shape that is wide and low. 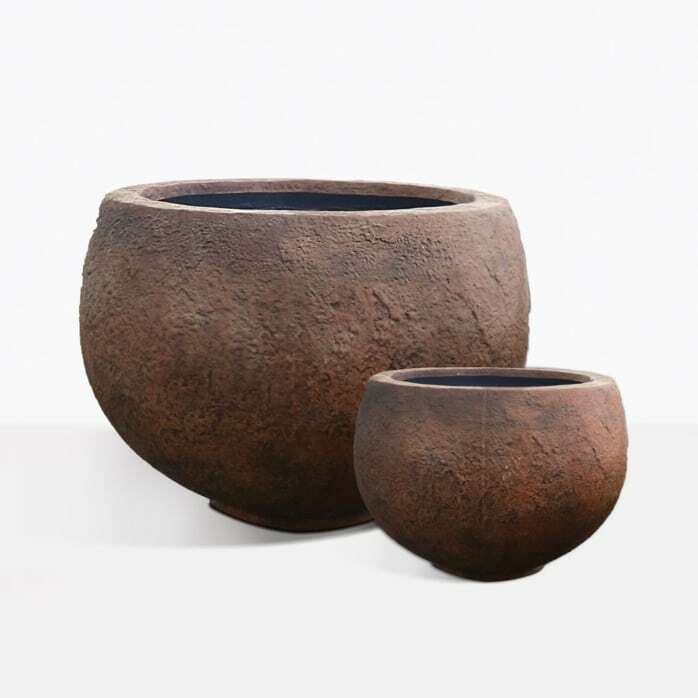 They are made with a concrete blend that gives them an interesting texture, it almost looks like molded clay. The dark brown color makes it look rustic and charming. 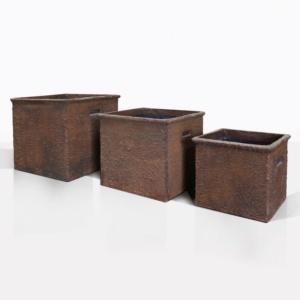 Just imagine it overflowing with succulents or a tall cactus outside a charming cabana.